As you step off the metro at the Stadium-Armory stop in southeast D.C., you might notice the sign that reads "Stadium this way," in bold black font. The arrow on the right of the sign points towards a broken escalator that has probably not been in service for a few months. As you reach street level a familiar sight abounds -– locals hawking tickets, t-shirts, and who knows what else. 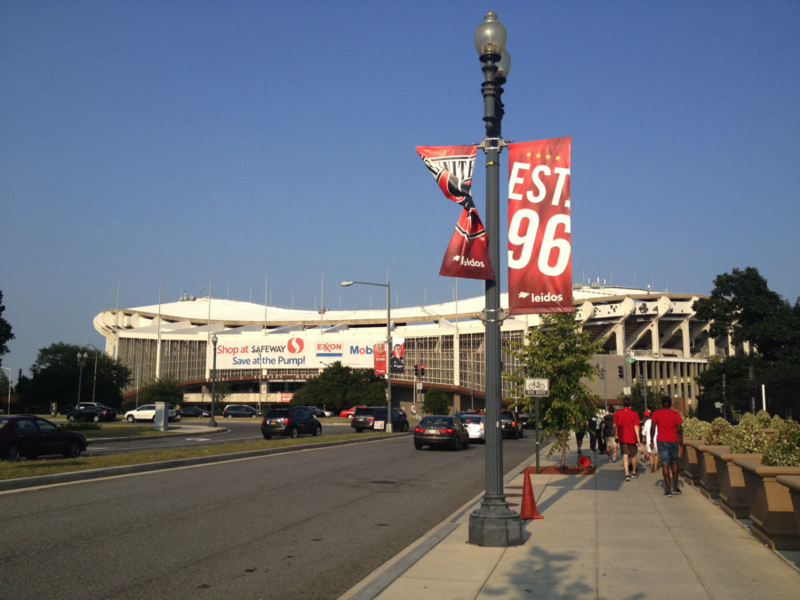 You hang a right on East Capitol Street, and the 53-year old stadium appears on the horizon. Robert F. Kennedy Memorial Stadium was built in 1961 as a multi-sport venue for football and baseball. Then, it was home to football's Washington Redskins and baseball's Washington Senators. Now, it is home to neither. Now, it is one of the only things stopping the D.C. area from reclaiming its spot among the best soccer cities in the country. In the past decade, Soccer City, USA has packed up its mini-goals and tailgate tents and moved west. Portland, Seattle, and Kansas City can all make a reasonable claim to the title of most rabid fan base in Major League Soccer. In 2013, the Sounders finished their season with an average attendance of 44,038 and broke a North American soccer record with a total attendance of 748, 652. In Portland, the Timbers have sold out each game since their inaugural match in March of 2011, and have made waves across the league with their incredible tifos and utterly fantastic mascot. Meanwhile, out in Kanas City, Sporting won the 2013 MLS Cup and followed that up by signing USMNT stalwarts Graham Zusi and Matt Besler to big-time contract extensions. But long before Clint Dempsey pulled on a rave green jersey or Merritt Paulson plunked down $40 million to make the Portland Timbers the 18th club in MLS, D.C. United supporter groups were packing RFK and shaking the stands, literally. There was a time when the team in our nation's capital carried the torch for all of MLS -– and it could happen again. The District of Columbia and its surrounding areas are home to thousands upon thousands of soccer fans, and Nielsen's TV World Cup ratings prove it. Washington ended the World Cup as the United States' top-rated English market; it averaged a 4.9 rating on ESPN, ESPN2, and ABC over the tournament's 64 matches. In terms of television ratings for the USMNT's opening match against Ghana, Washington (1st) was joined in the national top 10 by nearby markets Baltimore, MD (6th), and Norfolk, VA (10th). Of course, it's hard to expect even nearby fans to travel to a match at RFK; aesthetically, there is not much pleasing about the match day experience. Fan sight-lines are not ideal, as the stands sit away from the field, and players march out of an old baseball dugout at the beginning of the match. Even in the best of times, the glass is still half-empty -- United can sell up to 19,467 tickets per game, but the stadium was built to accommodate 45,000 fans. To make matters even more interesting, the dichotomy between the performance of D.C. United and the state of the stadium in which it is still forced to play has never been more prevalent. 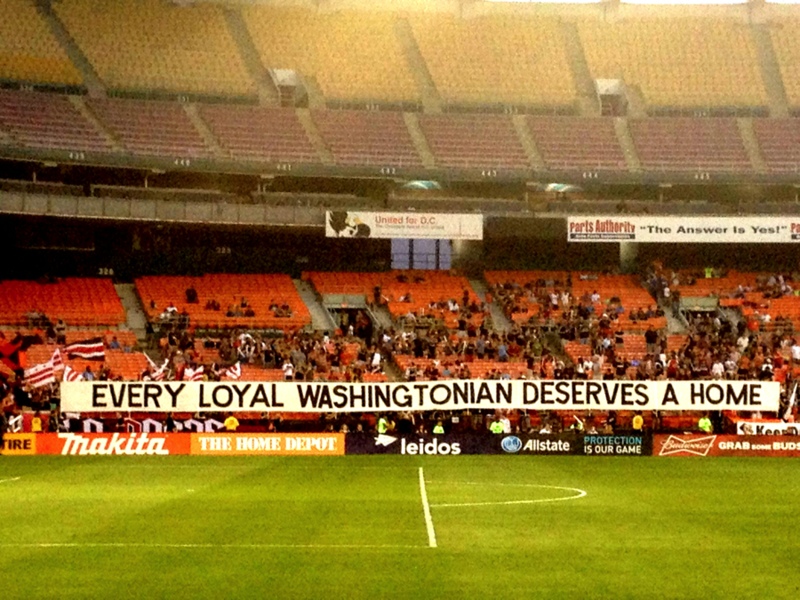 As RFK literally begins to crumble, United has managed to rebuild itself from the ground up. After a 2013 campaign that saw DC finish with just three wins – the fewest in MLS history – Ben Olsen's squad rebounded in 2014 and is on track for the biggest turnaround in league history. Soccer fans in the area have taken notice, and United's average attendance has improved by more than 3,000 fans per game (from 13,646 to 16,839). But there's only so much the players on the field can do to bring soccer to new heights in D.C. How big can the beautiful game be? We won't know until someone fixes that escalator, and points the arrow on the sign towards somewhere else.